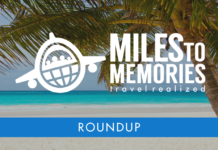 ATW: Wyndham 15K Castles, Chase Devaluation?, Airline Stopover Guide, Best Buy Lawsuit & More! Pretty great deal if you were thinking about cutting the cord. I agree with pretty much all of Ian’s points brought up in the article. The one that hurts me the most is how Pointsbreaks have become worthless. I used to use a few a year and I haven’t seen anything interesting in almost 2 years now. With the increase in prices I hoped they would at least offer better hotels but same ole junk so far. I have always thought the 0% offers were a little bait and switch. Hopefully this changes that practice. It only attacks the people who can least afford it. Although they probably shouldn’t be buying the stuff anyway. Dustin makes some interesting points about Chase’s last report where they lost $330 Million on rewards. I am sure they will be looking at ways to trim that number even though they made more profit than ever. Because remember, it is all about the $$$$. A good guide about which airlines still allow stopovers. Also some good suggestions for cities. This is the results of the amazing Wyndham offer from a year or so ago. I was unable to take advantage of the offer but it is cool to see how it all worked out. Previous articleNew Amex Platinum Benefit Promises Flight Discounts on United, Lufthansa & More. But is it a Perk or Bait and Switch? Next articleGreat Amex Business Platinum 5X Targeted Spending Offer: Are You Eligible?